I remember that my biggest hesitation whether to attend the University of Illinois was this: The student body is made up of about 33,500 undergraduates. Today, I’m discussing how I have made myself an impactful individual in such a large student body. This is the story of becoming a big fish in a big pond. The first step to truly individualizing your education is to make yourself stand out. For me, this meant making connections before stepping foot on campus. 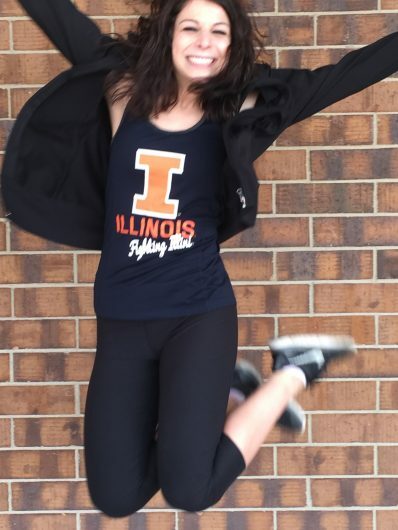 Prior to my acceptance to Illinois, I attended as many prospective student events as I possibly could. This allowed me to introduce myself to faculty members, leaving a good first impression. Within my first few weeks on campus as a freshman, I sent emails introducing myself to a select group of individuals: advisors, professors, and more. Many of these people I had met previously, so I wanted to keep my connections going strong. I also made a point to meet my advisor in person right away, before she met so many students that she wouldn’t remember me. To this day, I am still close with many of these people, including the assistant dean of the College of Education. As I continued into my sophomore year, I volunteered for various events within the College of Education. 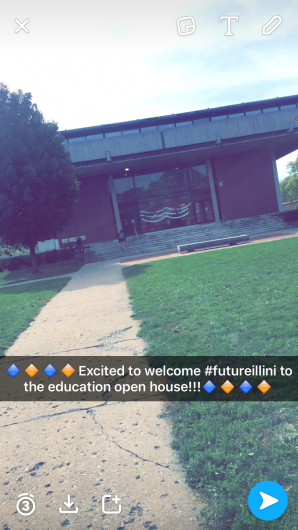 From prospective student luncheons to taking over the University of Illinois Snapchat (boy, was that fun! ), going the extra mile is the best way to market yourself. Wondering if my efforts worked out? 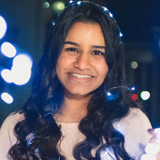 Check out the Student Spotlight in the most recent issue of The Update! I am studying Middle Grades Education with concentrations in Social Sciences and Literacy in the College of Education. Although I now reside in Champaign, I am originally from Vernon Hills, a Northwest suburb of Chicago.